StageBuzz.com: Planet Connections Intervew - Yvette Heyliger of "Bridge to Baraka"
Planet Connections Intervew - Yvette Heyliger of "Bridge to Baraka"
Yvette Heyliger is a playwright, a director and a producing artist. She has written her first one-woman show, Bridge to Baraka, which will be presented in Planet Connections Theatre Festivity 2012. The one-act version of her play, White House Wives: Operation Lysistrata! was presented in Planet Connections Theatre Festivity 2011 and won the award for Outstanding Music, Book, Lyrics or Play With Music. It has been published in the online digital theatre library, Indie Theatre Now! and included in Best in Fest: Planet Connections - The Founding Years Compilation. 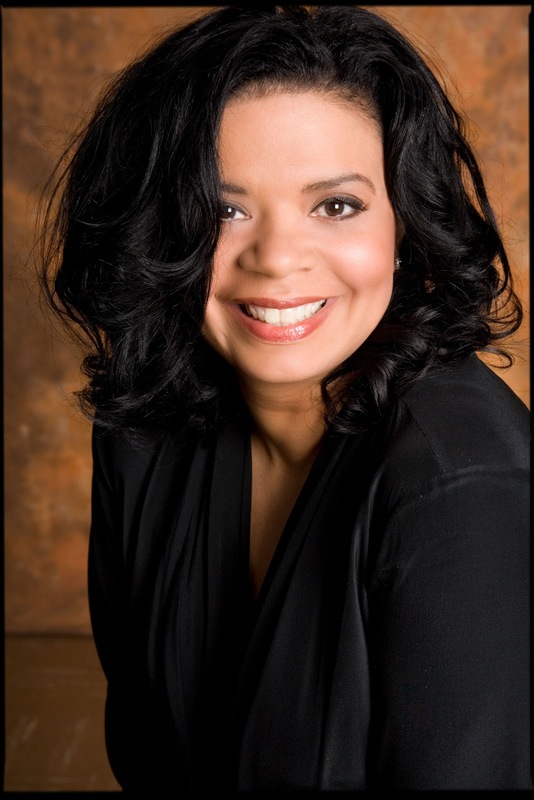 Her play, What Would Jesus Do?, swept the 2010 AUDELCO Recognition Awards for Excellence in Black Theatre winning seven awards, including Dramatic Production of the Year, and the August Wilson Playwright Award for Heyliger. She was nominated for an NAACP Award for “Best Play” for Autobiography of A Homegirl. Her new book, a collection of her plays entitled, What A Piece of Work Is Man! : Plays for Leading Women, is due out in 2012. Heyliger is partner in Twinbiz, a production company whose mission it is to produce work for the American theatre that educates, entertains and serves. She and partner, Yvonne Farrow, were awarded the first-ever Emerging Producer Award at 2011 National Black Theatre Festival. She has many professional memberships including the Dramatists Guild, AEA, AFTRA-SAG, SDC and she is an adjunct member of the Broadway League. Heyliger is an advocate for parity for women artists in the American Theatre. My mother took my sisters and me to the theatre, museums, and to the ballet as children. We also grew up at a time when students had visual arts and music in school as an integral part of the curriculum. When Duke Ellington School of the Arts, a high school, opened up in Washington, DC, we three auditioned. I originally wanted to be a dancer, but my twin wanted it more so I went into the theatre—turns out this was for the best! I believe in the power of art to enlighten and bring about social change while still entertaining, so my biggest influences are Athol Fugard, especially his play, Master Harold and the Boys which I saw it on Broadway with Zakes Mokai and Danny Glover; Mahatma Ghandi (I loved Ben Kingsley’s portrayal in the movie Ghandi); and President Barak Obama for many reasons, but I was so impressed when he took the First Lady on a date-night to see a Broadway show, the Tony Award winning revival of Joe Turner’s Come and Gone by August Wilson, after winning the election the first time around. This single date said so much about the importance of arts and culture in our country. I discovered the Black Arts Movement of the 1960’s when I went back to school to get a third degree, an MFA in Creative Writing—Playwriting from Queens College. I was a little girl during this volatile period in American history and lived a pretty bourgeois lifestyle growing up. Fast forward to today, it is no secret that women theatre artists get less than 20% of production opportunities nationwide. Women of color get even less than half of that. I started to wonder, what the heck keeps me, an African American playwright, going? What keeps me trying to make a life in the theatre? When I learned about the Black Arts Movement, a movement that empowered artists to write for themselves, by themselves and about themselves and to get those stories to the masses by any means necessary, I realized that I was standing on the shoulders of artistic warriors. This knowledge gave me a renewed strength and resolve. If African Americans facing relentless racism in the 60’s could do it, then surely we women facing an on-going lack of parity in theatrical opportunities and equal pay can do it in the new millennium. Bridge to Baraka was first developed in 2010 in the Uptown/Downtown Performing Artist Program administered by the Lower Manhattan Cultural Council, The Field and the Harlem Arts Alliance. In this program, multi-disciplinary works-in-progress are guided in development through a process called “Field Work” sessions in which artists show work and share non-directorial feedback with a moderator present. Playwright and performing artist, James Scruggs, was the moderator. At that time, the piece was fresh and raw and I was on the fence about what I was putting out there as an artist. James encouraged me to trust my artistic voice, insisting that I was on to something with this piece! After the workshop was over, I continued to work on the play and presented an excerpt of it under the direction of Mario Giacalone in Tribecca Performing Arts Center’s Writers in Performance where I am an alumna. Mario was excited by the 1960’s militancy of the piece and encouraged me to “go for it” right from the top of the show! He also told me to not be afraid to take on the speaking voices of the different characters in the play—something that was not easy for me to do and a little out of my comfort zone both politically and artistically for someone who was just returning to the stage. My collaboration with Los Angeles based composer, Larry Farrow, has spanned a number of years. He has brought the gift of music into my straight plays. Together last year we won the Planet Connections award, Outstanding Book, Music, Lyrics, or Play With Music for my play, White House Wives: Operation Lysistrata! He was also a big part of the success of my play with music, What Would Jesus Do?, which won multiple AUDELCO Recognition Awards for Excellence in Black Theatre, including Dramatic Production of the Year in 2010. Larry has two original compositions suggestive of the mid 60’s – early 70’s in Bridge to Baraka. When Bridge to Baraka was accepted for Manhattan Repertory Theatre’s 2011 Winter One-Act Play Competition I teamed up with director, Elizabeth Flax. Elizabeth and I have continued our collaborative relationship with this current Planet Connections Theatre Festivity production. Collaboration in solo performance work is a special animal. There are many ways to approach it. Some solo performers write their show and hand it over to the director to direct as they see fit. Others come to the table not only having written the piece, but with their own directing ideas and their own vision as playwrights for the work. They know what they want and are pretty much only looking for a third eye to keep them on course. My collaborative relationship with directors falls somewhere in the middle, perhaps leaning more towards the latter. It is true, I do have my own ideas and vision for the piece, but I also feel I would be remiss to close myself off to whatever directorial inspiration a director may have, as well as whatever inspiration may result from our collaboration together. With each production opportunity, the work is growing and standing on the shoulders of work that has before, with a living theatre artist as part of the package! It is important to find a director who is not threatened by this. The director and solo artist must have mutual respect for one another as theatre artists and as fellow human beings. This is a deal-breaker for me as a first-time solo artist who is returning to the stage after nearly 30 years on the other side of the footlights as a writer/director. Last but not least, my Los Angeles based business partner, twin sister Yvonne Farrow, is not directly working on Bridge to Baraka here in New York, but we are in touch almost daily about the production by phone. Our company, Twinbiz™, is proud to once again be presenting a play in Planet Connections Theatre Festivity. We were thrilled to receive a nomination for Outstanding Overall Production of a Musical or a Play with Music for my show White House Wives: Operation Lysistrata! last year and Yvonne, who has appeared in nearly all of my plays, was also nominated for Outstanding Supporting Actress in A Musical or Play With Music. Of course, Yvonne, as a family member, is a special collaborator on this project. I have called her on more than one occasion to clear up a cloudy family memory or to verify an incident or fact. The stories I tell in the play of growing up with Yvonne, our younger sister Andrea, deceased mother Marcieta, and deceased biological father Farraquan Muhammad, are their stories too, even though the play is in large part what I like to call, a memoir-play. Honestly, this year more than ever, being eco-friendly fits my budget. Having said that, when the concept was introduced to me in the Festivity last year when I presented my play, White House Wives: Operation Lysistrata!, my whole cast embraced the challenge. I was already recycling bottles and cans at my neighborhood grocery store and in an unexpected move I signed up to be an organ donor when my driver’s license renewal came up. I was so proud when our prop, a Greek phallus made out of recyclable materials and designed by Bread and Puppet artist, Gabriel Harrell, had a cameo at the PCTF awards ceremony. I have selected Frank Silvera Writers Workshop which was co-founded in 1973 by actor Morgan Freeman, playwright/director Garland Lee Thompson, director/actress Billie Allen and journalist Clayton Riley. Morgan Freeman is one of the first of many actors, directors, producers, designers and playwrights who have emerged from the Workshop and gone on to gain national recognition for their work in the performing arts and film along with such actors as Angela Bassett, Charles Dutton and Danny Glover. The Workshop is a memorial to the late, great actor, director and teacher, Frank Silvera who was star of stage and screen and a forerunner of “color blind casting.” Silvera worked with such giants as Marlon Brando, George C. Scott, and Ossie Davis, as well as directors such as Elia Kazan, Arthur Penn, and Lee Strasberg. The mission of Frank Silvera Writer’s Workshop from its inception has been to read, develop and showcase emerging and established playwrights of all colors and backgrounds. The Workshop has built a reputation as a nationally and internationally renowned playwrights' development theatre but sadly, in recent years and due to heavy budget cuts in funding to the arts, Frank Silver Writers Workshop has been in danger of extinction. At one time it had its own theatre space on Harlem’s famed 125th Street, just a stone’s throw from the World Famous Apollo Theatre. No longer with its own home, the Workshop has moved from place to place, finally settling at Dwyer Cultural Center. What was once a thriving artistic haven has seen low attendance and participation by playwrights in recent years who have found other development opportunities for their work. One would think that Frank Silvera Writers Workshop’s glorious heyday has passed, but Garland Lee Thompson, an institution himself in Harlem, is determined that Frank Silvera Writers Workshop will continute to serve Harlem's artistic community well past its 40th birthday next year! I want to assist in this effort by bringing visibility to Frank Silvera Writers Workshop during the run of my show and also by assisting in writing a grant. This is my way of giving back because the Workshop has provided a place for me to have my plays read and critiqued within my own community. This gift is inestimable and I am honored to be standing on the shoulders of the great playwrights like Pulitzer Prize winner, Charles Fuller, Drama Desk Award winner Richard Wesley and Obie Award winner Ntozake Shange, who have come before me and been through the same process of development which Frank Silvera Writers Workshop provides its playwrights today. I will continue to move forward working on Bridge to Baraka and seeking production opportunities. It is my hope to enter the solo performing artist circuit that I have been hearing so much about. I would find a way to put pressure on those who could spearhead mandates which would ensure that women theatre artists get equal production opportunities from institutions that benefit from government arts funding. It’s time to level the playing field, fellas! To find out more about Bridge to Baraka, visit: http://planetconnections.org/bridge-to-baraka-and-naked-brazilian/ . She is an amazing force in the theatrical community...wishing her the best with her show in PCTF, and so happy to read this great article on her.